More than 1,4bn travellers on the move globally in 2018, but what about SA? More than 1.4bn travellers were on the move in 2018, according to the UN World Tourism Organization's latest Tourism Barometer. Projections of a 4 to 5 percent increase for this period were exceeded, this off the back of a 7 percent growth rate in 2017 alone. Skift reports, the UNWTO does expects growth to slow further in 2019 to between 3 and 4 percent, "more in line with historic growth trends". Brexit and a stifled economic environment on a global level are seen as the main reasons why. With that said, "digitalization, new business models, more affordable travel, and societal changes are expected to continue shaping our sector, so both destinations and companies need to adapt if they want to remain competitive," according to UNWTO Secretary-General Zurab Pololikashvili. 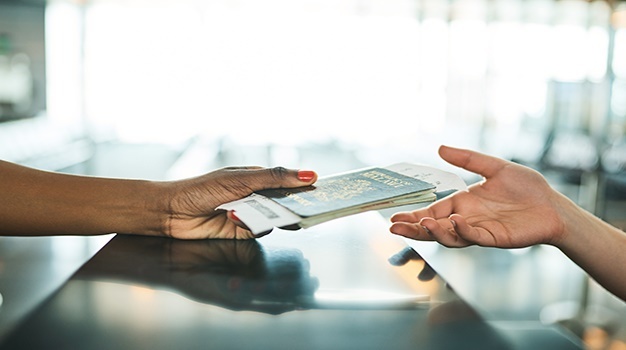 South Africa has seen measured recovery in arrivals with an estimated 6 852 972 people entering the country over the December festive season – marginally up from 6 811 510 recorded the previous year. Still, there remains massive room for growth with such a rich tourism offering, especially when weighing the movement of tourists across the continent and the rest of the world. According to the UNWTO, Africa recorded a 7 percent increase in international arrivals, seeing about 67 million of the 1,4bn travellers last year. Europe continues to see the lion’s share of international visitors overall, up 6 percent to 713 million. That’s on top of 8 percent growth the year before, reports Skift. Asia and the Pacific also grew at 6 percent, in line with the prior year, reaching 343 million international tourist arrivals. South Africa is in the throws of an election year, while Zimbabwe our neighbour - another sought-after SADAC tourist destination - struggles with its own politics of the day. Even with core attractions like the Kruger National Park, which saw some 190k visitors over the festive season period and Table Mountain having just recently reached its 28-millionth visitor in January - accessibility and stability of course need to work in tandem to set our cities and tourist draw-cards apart. While it is encouraging that OR Tambo remains the busiest port of entry at 997 167 travellers for December into January – the numbers show there is not nearly enough movement across the African continent, filtering into SA directly.